WIN props from the 'Who’s Been Having You Over?’ video! There’ll be 5 lucky winners! 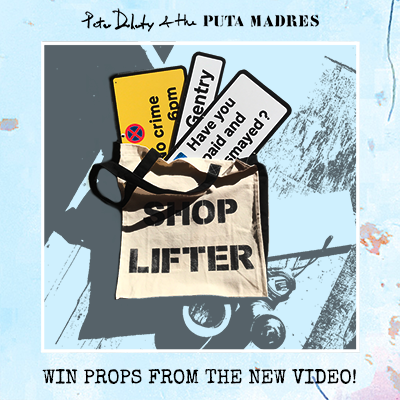 The 1st will win a shop lifter bag full of goodies & 4 others will win a sign each. To enter, pre-order the album or any bundle on the site before midnight on Sunday 24th March. If you’ve pre-ordered on the site already, then you’ve been automatically entered. If you’ve pre-ordered from another platform, just sign up to the mailing list to enter. Winners notified by email on Friday 29th March!